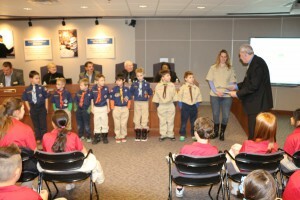 Perry Township Schools would like to thank Cub Scout Pack 183 for leading the Pledge of Allegiance at Monday nights school board meeting. 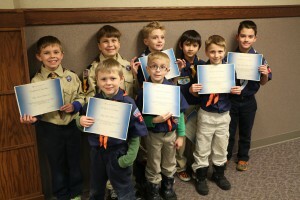 The 8 young men were commended by Dr. Little for doing their Scout duty. 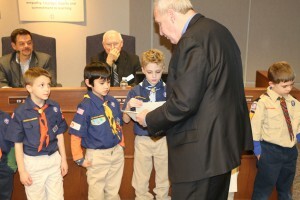 He reminded pack members how important the Pledge is to the start of the school board meeting stating it sets the “tone” for the entire meeting. Congratulations to these young men and their leaders for the positive things they do in their pack and community.